I made my first purchase from Korean brand PeriPera a few months ago. 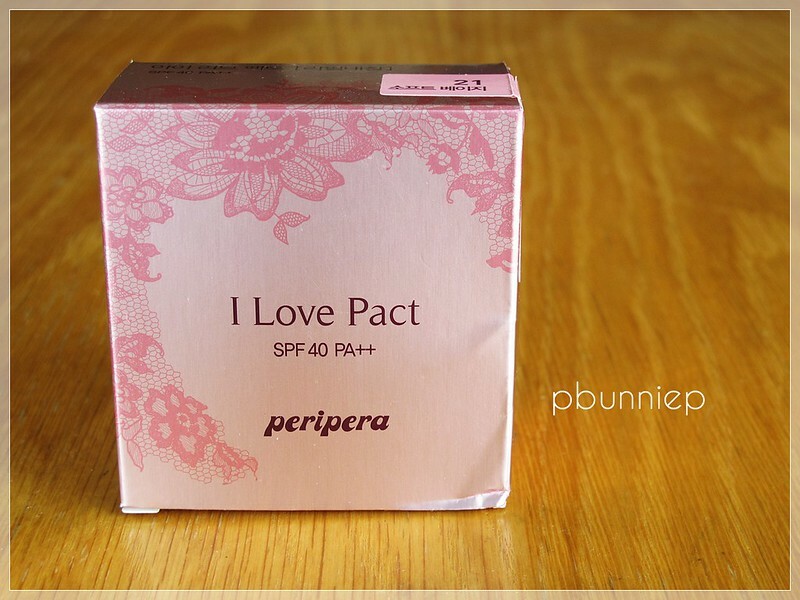 Wanting to get a feel of their products overall, I picked a bit of everything from blush to lip gloss and one of the items that I had anticipated most was this I LOVE PACT pressed powder. 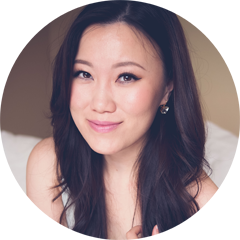 I had been searching for something that was light in texture, with a little extra coverage that I could use to top off my Etude House Precious Mineral BB Cream which was looking too shiny during the summer and had a hard time staying put on my face. 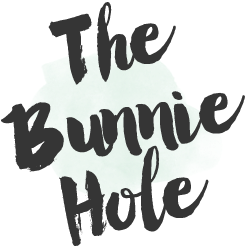 My experiences with powders overall have never been too pleasant, I knew the few that I really loved but they cringe worthily expensive and I wanted to see if there were cheaper alternatives out there. 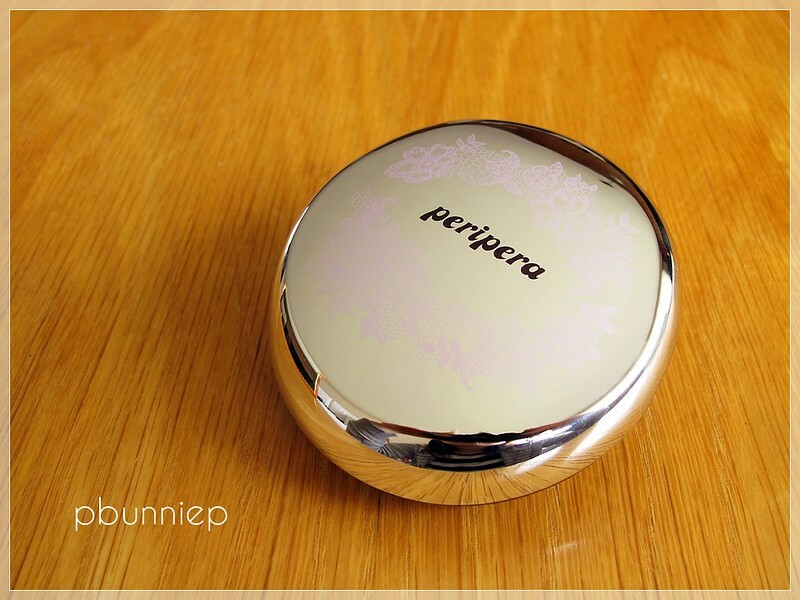 Hey, and the fact that Peripera had such dreamy packaging didn't hurt either. 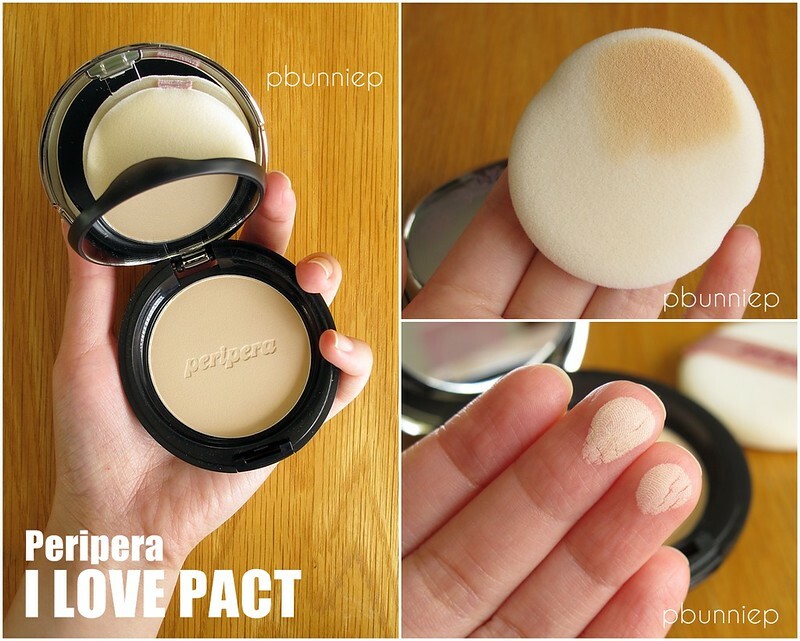 PeriPera's I LOVE PACT comes in a thick multi-compartment case, with mirror, puff and a full sized refill powder. Value wise, it breaks down to about $10 per powder which is around the price of an average drugstore product here (especially considering the taxes). I must stress how much I love the puff separator, it makes no sense to me why you'd want to sit your puff directly on top of the powder, it seems that most Asian brands (even drugstore ones) take that into consideration and to me that is certainly a selling point. The whole compact has a good weight in the hands and doesn't feel too cheap. The flocked puff is velvety soft and I like that it picks up the powder easily with just a light touch. As Korean face powders tend to run light (especially given the high SPF) I settled on shade #21 "Soft Beige", the medium choice which turned out to be roughly a NC20 type of colour. In certain lightening it looks more beige but in others there is definitely a slight pink tinge to it. On my face however, the colour is a perfect match and disappears into my skin without much blending at all. It brightened up my skin tone just a touch without making me look ghostly. Coverage is sheer to light so use this to take away the shine but don't expect it to cover any major flaws. What I like most about this powder is the light texture is has, when applied on the skin it's really quite imperceptible and irregardless of how many times I touch up through out the day it never accumulates into a thick powdery mess. 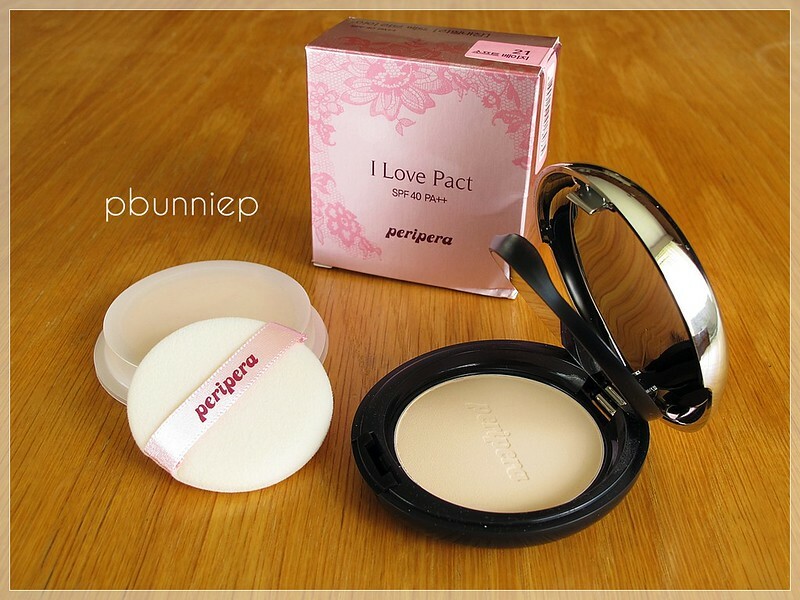 Even when applied over bare skin, the powder gives me that translucent skin quality which I love. Oil control is average, lasting about 3-4 hours before needing to touch up again. With all that being said, this is no where near the perfect powder for me. While it leaves my skin looking nice, my face didn't feel smooth to the touch. I found that it picked up on rough flaky patches on my skin and didn't make my skin feel good although it looked nice and that is the major downfall of this product for me. Sometimes it even felt a bit chalky although it didn't show on my face. My skin gets dehydrated easily and while this didn't dry out my skin, it certainly didn't live up to my expectations for an excellent face powder. Comes in three colour choices, with refill included. Sheer to light coverage, average oil control but doesn't make skin powdery. Invisible on the skin with very light texture, easy to touch up. Lightly fragranced but fades quickly. Did not cause breakouts or skin sensitivity. Best for those with combination to oily skin who doesn't want a super matte finish, offers a natural translucent skin look. Overall, this was really a mediocre product for me. It's not necessarily terrible because I like the finish and I didn't have any adverse reactions. But I do have very high standards for powders and this one just doesn't cut it. too bad it was just an ok product for you!